The cat is now out of the bag! Here's our first impressions and unboxing experience of the O+ Venti LTE. 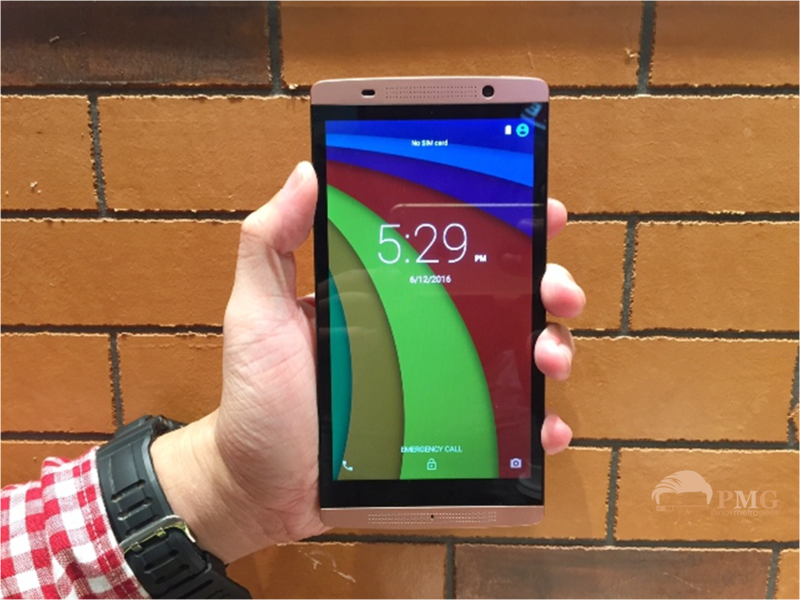 It amazes me seeing O+ USA finally crafting an LTE phablet after a series of smaller-screen releases. In some way, I am happy seeing the O+ Venti LTE came to life. 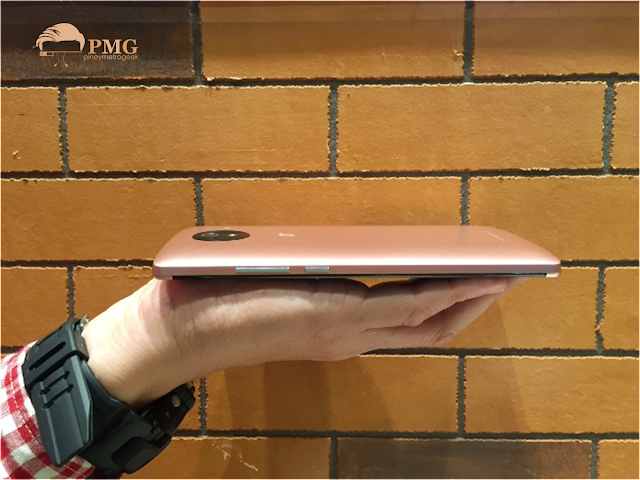 The smartphone is as big in terms of performance as it is in my pocket. But make no mistake, the O+ Venti LTE could be the dream device that we are looking for quite some time at Php 6,395. 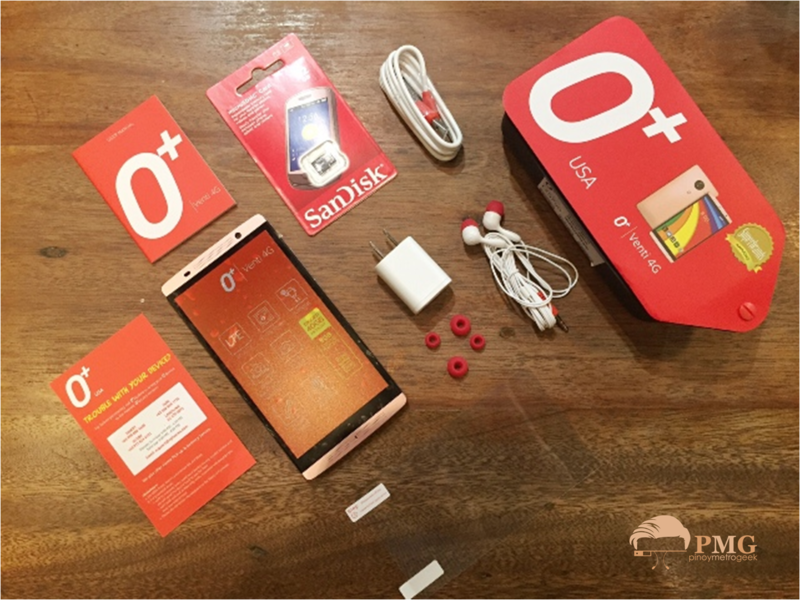 This is our unboxing, first impressions and quick tour of the handset. 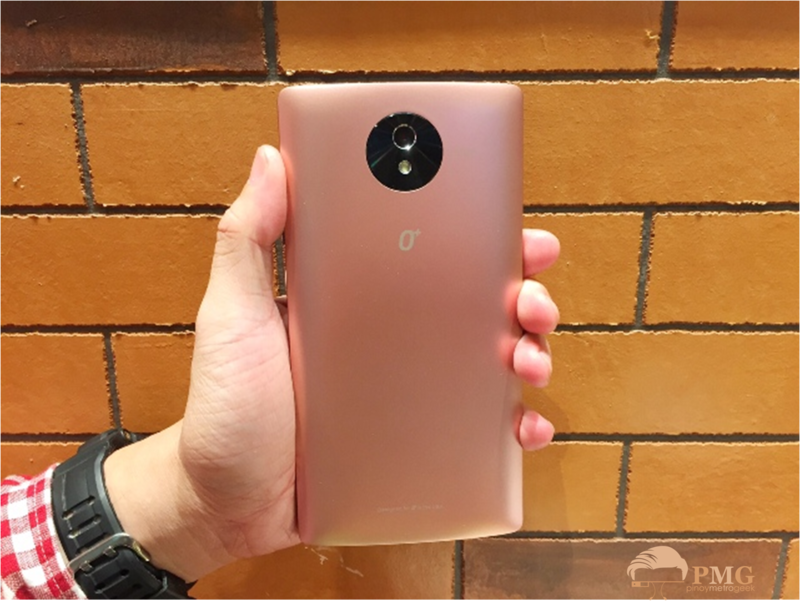 The first thing that will get your attention is the O+ Venti LTE’s rose gold paint job. It exudes sophistication and elegance due to its faux metal construction. Even though it’s a blown-up device, you can really spot the O+ USA’s DNA in the smartphone's design philosophy. To be brutally honest, O+ is one of those companies who can make elegant phones with plastic being the majority in the pie of materials. The O+ Venti LTE is sturdy, but it does not necessarily mean that it’s heavy. Its rigid construction feels perfect on the hands – these include the slightly curved back panel that helps the phablet nestle comfortably on the hands. The front panel, on the other hand, gives you as much real estate you can get with the 6-inch qHD display. It’s not quite as pixel-dense as the other smaller phones with qHD panel; but don’t let it bother you, you will still be getting frankly clear and vibrant images. The screen is also accompanied by front-facing speaker grills on both top and bottom potion of the front panel. Both the proximity sensor and the 5MP front-camera are also on the top of the display; while the LED indicator is vaguely smacked in the middle of the speaker grill at the bottom. If you allow me to be nitpicky, one thing that turns me off is the fact that the display is a fingerprint magnet. However, the box comes with the screen protector which could ease this issue. All the other buttons and ports are placed where they’re supposed to be – power and volume buttons are on the right side, the 3.5-millimeter audio jack on top, the microphone and microUSD are placed at the bottom lateral side. 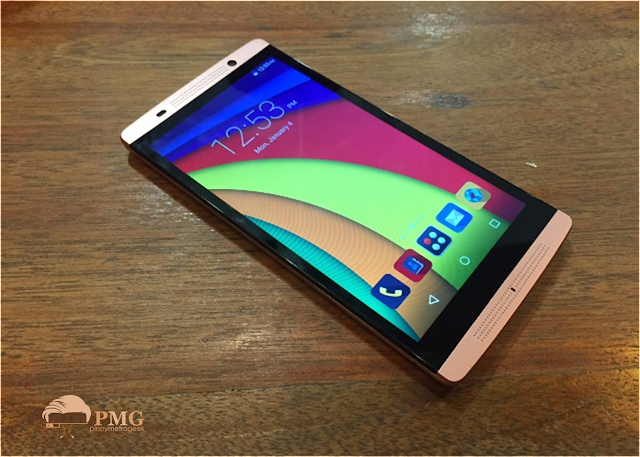 The back panel is the home of the 8MP camera, the LED flash and the O+ USA branding. Under the hood, the O+ Venti LTE bellies a 1.3GHz quad-core CPU coupled with 1GB of RAM. The performance, so far, is quite snappy. This is due to the Android 5.1 Lollipop which pulls up apps as quickly as our taps can manage. 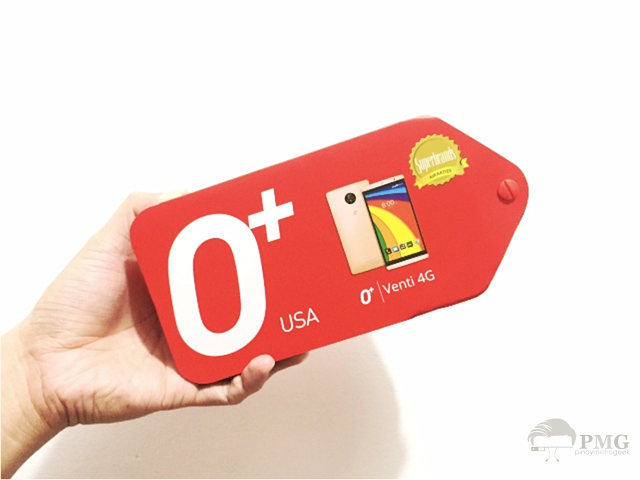 Now giving the spotlight to the new package design, O+ manages to deliver its “Explore Venti” campaign with the arrow-shaped box. The package opens by sliding the cover in clockwise direction. Aside from the O+ Venti LTE, you’ll get a 32GB SanDisk memory card to give you more room for photos and other multimedia files. Other items which complete the normal set of accessories are the earphones, wall socket adapter and microUSB chord. You’ll also get the manual and screen protector on the fly. Making the long story short, the O+ Venti LTE makes a great doze of first impressions. It’s big, it’s fast, it's LTE-capable and it's generous in memory. Stay tuned for more real-world testing in our intensive review. In the meantime, check out O+ Venti LTE Specs here.